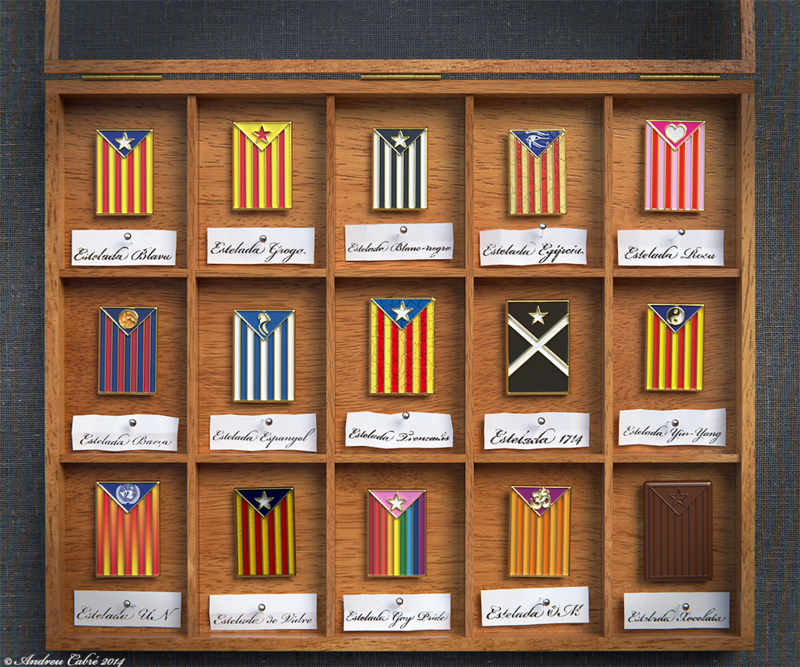 For a while now, I've been wanting to create an image that would showcase some fun, alternative designs of the Catalan pro-independence flag—known as estelada. The image I came up with is pretending to be a natural-history museum kind of display of lapel pins typically worn by pro-indy folks—although this practice used to be more common back in the seventies than it is nowadays. I was inspired by a friend's piece of individual cereal bits displayed in a similar manner.